Available now in hardcover and ebook! "SAVAGE LANE is a next-level kind of crime novel. The kind of book that gets in your head and stays there for a long time, and makes you look at yourself and everyone else differently. " "A thrilling noir that offers up a searing satire of a declining marriage, suburban life, and obsessive love." Named one of PopSugar's Best Fall Reads! 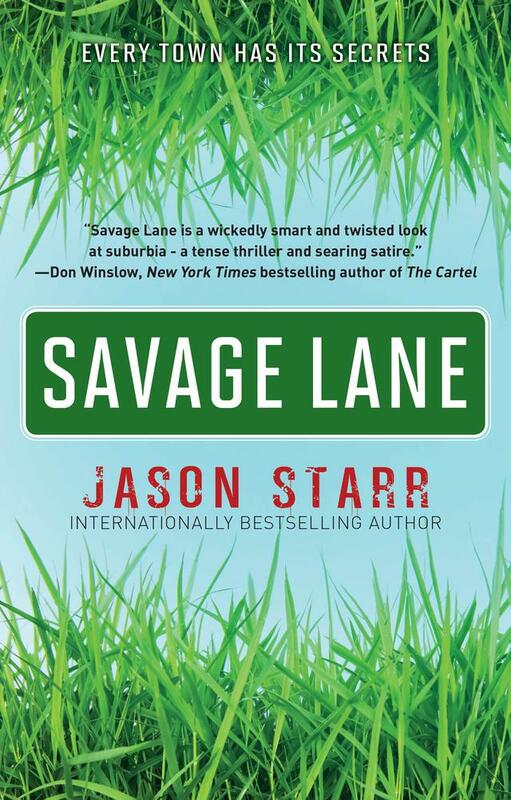 Jason Starr is one of the most critically-acclaimed writers working today, and in Savage Lane he has crafted a searing tale of suspense that proves the adage: Love thy neighbor, but don't pull down your hedge. quaint suburb of New York City. She’s teaching at a nearby elementary school, starting to date again, and for the first time in years has found joy in her life. Mark Berman, Karen’s friend and neighbor, wants out of his unhappy marriage, and so does his wife, Deb, but they have stayed together for the sake of their children. Jason Starr is one of our most accomplished writers of the darkness that lies within the human heart, and Savage Lane is his both riveting and intimate novel yet—a dark, domestic thriller and an honest, searing satire of a declining marriage, suburban life, and obsessive love.